Leslie with Hadija and Amina, the president of the Wodaabe Ojai Co-operative proudly displaying a finished handbag. 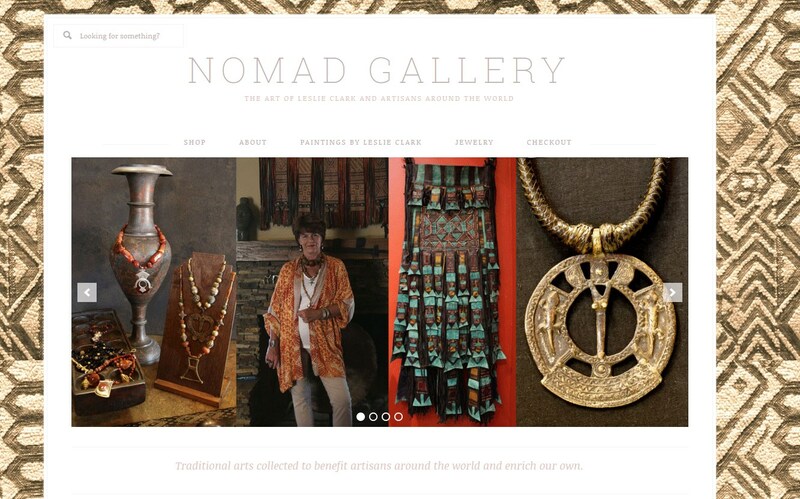 Leslie Clark, founder of the Nomad Foundation, is an artist whose career has always included travel. After obtaining her master of fine arts degree from George Washington University she traveled to France for her first exhibition. Since then she has traveled and painted searching for new perspective and old wisdom. In 1996 she opened the Nomad Gallery in Ojai, California to show her paintings of Africa along with the work of African artisans. The goal of the gallery is to tell the story of the indigenous people she paints and to help them support themselves selling the things they produce. In 1997 she started the Nomad Foundation seeking to balance economic opportunity and cultural tradition. Helping people support themselves using skills they already possess. Cultural exchanges, bringing African musicians to the US to increase awareness of the beauty of the music and art forms have also raised funds for the projects. The foundation has always tried to work with the local populations to decide what it is they need and want to improve their lives. Today the projects include nomadic schools, wells, women’s co-operatives, microcredit, cereal banks, health and nutritional support for people and animals. The experiences in all these areas have led her to their consolidation at the Tamesna Center for Nomadic Life. She was awarded the David Lloyd Kreeger first award in painting from George Washington University in 1984, has exhibited her paintings widely in the US, Europe and Africa, received the B’nai Brith Humanitarian award in 2004, Living Treasure of Ojai in 2007, and has been an honorary Rotarian in Ojai 2006-10. 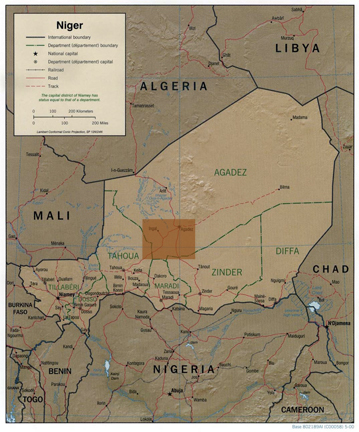 She is a founding member of the Agadez Rotary club, the first in the Sahara, founded in 2006.